Amyotrophic lateral sclerosis (ALS) is a devastating neuromuscular disease that progresses swiftly, causing motor neuron degeneration and subsequent muscle death. Most patients survive for only 3 to 5 years following diagnosis. BrainStorm Cell Therapeutics, with offices in Petach Tikva, Israel and New York, NY, is making headlines again as its ALS treatment, NurOwn, received “fast-track” status from the FDA. 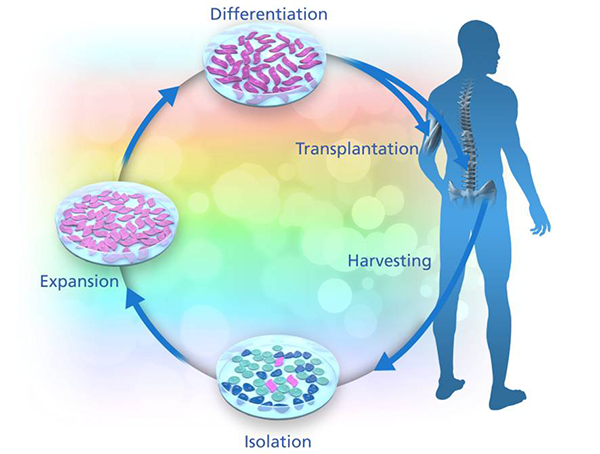 Currently, under Phase IIa clinical investigation in ALS patients, this adult stem cell treatment extracts and treats the patient’s own stem cells to stimulate new nerve cell production, then re-injects these cells back into the patient’s muscles and spine. To date, NurOwn treatment has shown significant symptom alleviation in Israeli patients, likely due to the secretion of a growth hormone by these cells, which tempers the degeneration of the patient’s nerve cells. Now that this promising therapy has received “fast-track” approval, it joins the ranks of a limited number of cell therapies whose potential impact the FDA deems significant enough to expedite their passage through the clinical testing pipeline. In particular, this increases the frequency of interaction with the FDA in the form of written correspondence and meetings to enable rapid reporting, review, and approval. NurOwn’s “fast-track” status means that if successful, the therapy will reach patients faster.